The Thailand-Burma Railway Centre (TBRC) is a privately operated interactive museum, information and research facility, which opened in January 2003. It is dedicated to presenting the factual and unbiased history of the construction of the railway between Thailand and Burma by Allied prisoners of the Japanese and Asian laborers during WWII. The Centre is fully air-conditioned and offers the visitor an informative and moving experience as the story unfolds over the two levels of world-standard and interactive galleries. The revealing and sometimes graphic displays are very interesting, emotive and educational to all visitors. Due to a unique and intimate knowledge of the railway and its associated wartime campsites, railway stations, and cemeteries, connected family members can be taken on a TBRC personal pilgrimage tours to the specific work areas of their PoW relative. Historical guidance and accommodation packages are tailored to meet individual circumstances. TBRC is an excellent facility that not only meets the needs of the most demanding visitor, but gives the many relatives of ex PoW railway workers around the world somewhere they can go to for answers to their many questions, from staff with a deep personal understanding of their needs. The Museum galleries continue to expand as new artifacts become available through family donations or new information is revealed by the vast amount of ongoing research being conducted by the Centre. 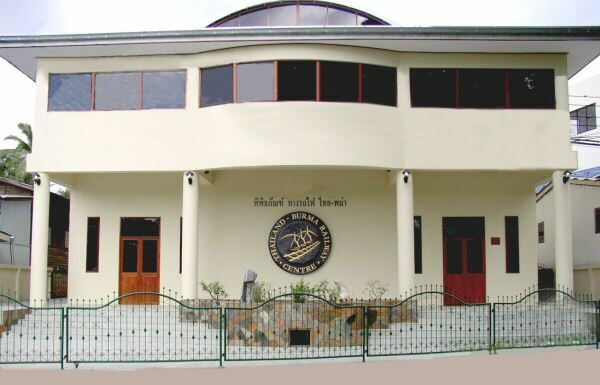 The Museum complex is on the western side of the main Kanchanaburi War Cemetery, 1km from the city centre. The location is approximately 100 metres from the cemetery entrance, and about 200 metres from Kanchanaburi railway station. Both the ground floor entrance plaza and the Coffee Shop/Cafe on the second level give superb views of the cemetery for quiet contemplation of the tragic events in WWII. The TBRC has a number of tours you can go on whilst in the Far East. Click on the links below to see more information.